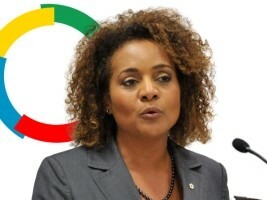 Michaëlle Jean from Jacmel, Secretary General of the International Organization of La Francophonie (OIF), learned with great emotion that an earthquake struck on the evening of Saturday 6 October https://www.haitilibre.com/en/news-25744-haiti-flash-earthquake-of-59-in-the-north-of-haiti.html , the Departments of Artibonite, North and North-West of Haiti and presents "her deep sympathies to the families and relatives of the victims of this earthquake whose current record indicates more than a dozen deaths, many wounded and stricken as well as significant material damage. This catastrophe is a new blow for the brave Haitian people who are still trying to recover bravely from the trauma, mourning and destruction caused by the earthquake of January 12, 2010 and the political and social crisis that rocked it in July. 2018. Michaëlle Jean expresses her solidarity with the hated Haitian people, the President of the Republic and the government. La Francophonie stands ready with the authorities and institutions of Haiti to give all its support to the people affected. Michaëlle Jean, sends a strong call to the international community to support quickly and concretely the victims of the earthquake [...]"